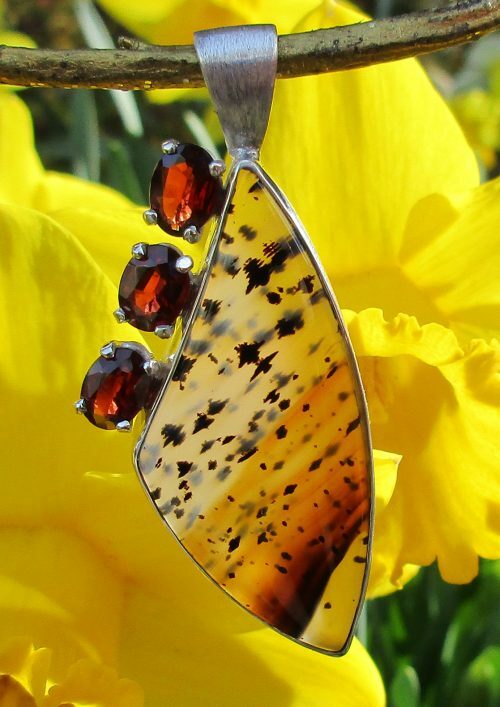 This artistic pendant features a 18 x 13 mm cabochon oval Bloodstone bezel set in a sterling silver bezel with a custom designed silver bail and accented by a round faceted 1.5 mm round garnet set in a double lined silver “V” with a tear drop shaped cabochon garnet flowing red. 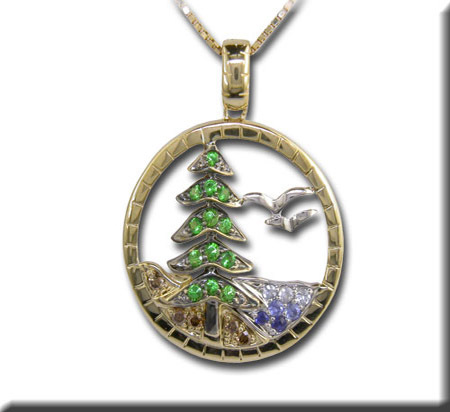 Bloodstone is a collector’s gemstone of green chalcedony with areas of iron oxide that are red. 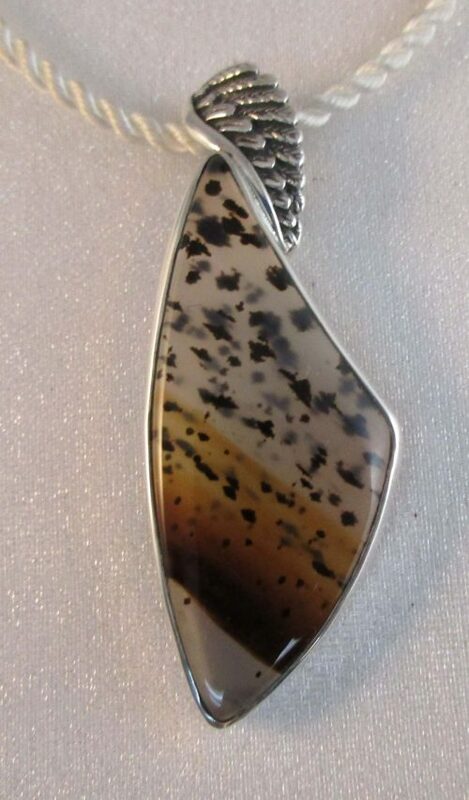 Bloodstone is an alternative birthstone for those born in March. 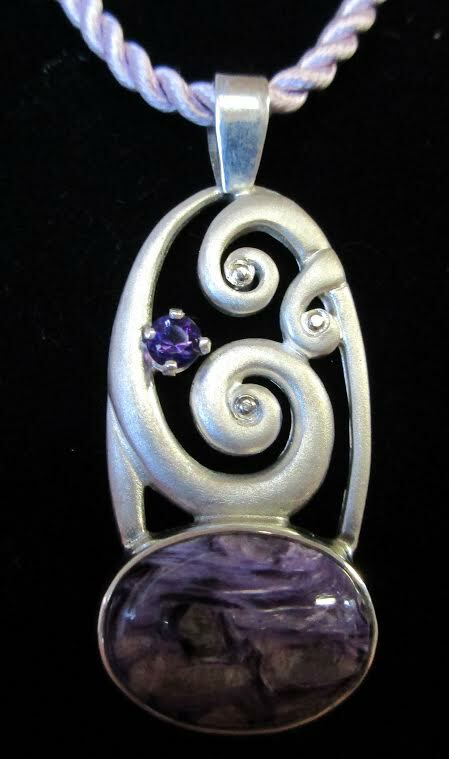 A one-of-a-kind creation by Julie Strader, Hood River Jewelers Goldsmith. This would be good for..